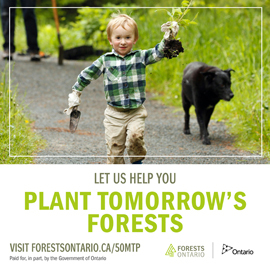 Ontario Nature and the Foundation for Ontario Nature (the “Foundation”) recognize that an individual’s right to privacy is an essential issue. We understand the importance in maintaining anonymity and protecting personal information in our care and control. Our relationship with those that support our activities are founded on trust and we are committed to maintaining this trust. or information that is publicly available and is specified by regulation pursuant to the PIPEDA. Please be advised that information voluntarily disclosed online in discussion areas or other public areas of our website can be collected, used and disclosed by third parties. Any submissions made to discussion areas or other public areas on our website are done at the user’s risk and on the understanding that such information may be accessible to third parties. 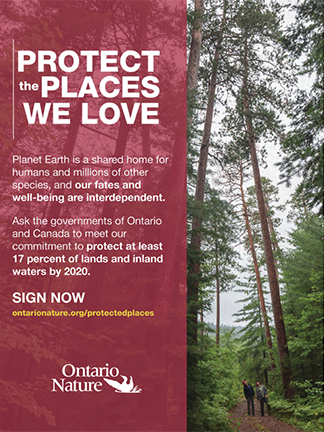 Ontario Nature and/or the Foundation will not be liable or held responsible for any damages that may result from such user activity. Please note that further information can be obtained as well as a copy of the PIPEDA through the Privacy Commissioner of Canada’s website at www.privcom.gc.ca.